HEAVY PARADISE, THE PARADISE OF MELODIC ROCK! 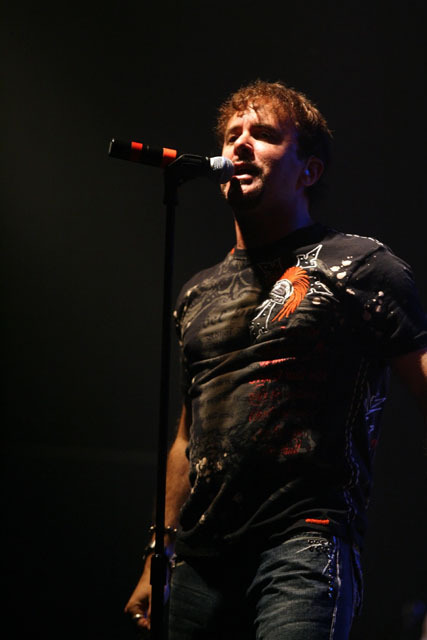 : INTERVIEW WITH FIREHOUSE LEAD SINGER CJ SNARE !! 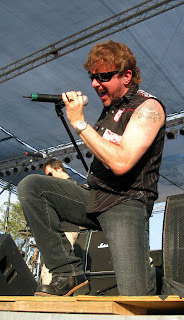 INTERVIEW WITH FIREHOUSE LEAD SINGER CJ SNARE !! When someone is talking about the hair metal era, among so many names of that scene, one is coming first in the mind; Firehouse! A band that combined the huge melodies, sharp guitar work, excellent songwritting and of course CJ Snare's amazing vocal lines! This year, Firehouse is going to release a compilation album with all their hits re-worked but, also, their charismatic frontman, CJ Snare, is about to release a stunning heavy rock project with guitarist Chris Green. CJ Snare talked to heavy paradise about Firehouse's earlier days, his influences and for what's next with his new project Rubicon Cross! heavy paradise: Hi CJ, I would like to welcome you here in Heavy Paradise for this interview. It's a great pleasure for me to interview one of my long-time rock heroes! CJ : Thank you. The pleasure is mine ! heavy paradise: CJ, I read about your project, Rubicon Cross and the fact is that I'm pretty curious about this one. >From the samples that I've heard, I have to say that it rocks big time! Can you tell me some more about this? CJ : This is a chance for me to express my taste and style of music that doesn't necessarily fall within the parameters of FireHouse. Chris Green and I have released this so that the listeners can get an idea of what we are about musically and to hopefully procure a label deal. We are very proud and invite every one to check it out . heavy paradise: So, let me go back to your FIREHOUSE days. 1990 and your debut album made a huge success back then! How do you feel after all those years? CJ : I am filled with gratitude for a successful career in music. I have been able to fulfill my life's dream thanks to all of our fans. I am just as hungry now as I was back in 1990 to have more success within the music industry. heavy paradise: Firehouse is a band that influenced numerous bands of the so-called hair metal scene. Do you accept the label 'classic band' when someone is talking about Firehouse? CJ : It is such an honor for FireHouse to be considered a "classic" rock band. It is also refreshing for Rubicon Cross ( my side project ) to be categorized as "Modern" hard rock. The early reviews have placed us in that genre and it is very exciting !!! Flash forward....it's like getting a second chance to start all over. AWESOME !!! heavy paradise: If you had the chance to change some things from those days, which would they be and why? 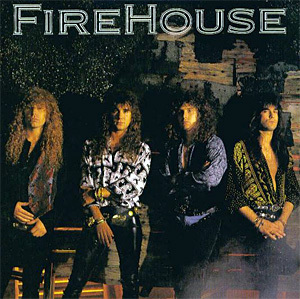 heavy paradise: When it comes to a ballad from that era, "When I Look Into Your Eyes" is one of these songs that everyone has connected with Firehouse. Which is your favourite tune? CJ : Most of the FireHouse songs are a part of my heart and soul as an artist and writer so I might choose a different song every day. heavy paradise: "Prime Time" was the band's last full-length album. If you ask me, it is a solid release and a kinda of back to your roots! Is there any plan for a future Firehouse new album? CJ : Thank you. We do have a new CD called FireHouse : Full Circle This CD is our answer to what fans from around the world have been asking us for many, many years….” Can we get all of our favorite FireHouse songs on one CD “? To celebrate the 20 year anniversary of the release of the 1st FireHouse CD on September 11, 1990 we went in to the studio to re record both band and fan favorites. We are really proud of this CD and it was a lot of fun getting back in to the studio to play these songs again. We hope that you will add it to your collection. Of course, we are always happy to sign your copy at our shows, time permitting. We want to thank everyone for supporting the band for the last 2 decades and look forward to seeing you at our shows as we move in to our 3rd. This single piece of audio is the only “hits” CD that is produced, and officially sanctioned by the band. heavy paradise: Which are your influences? CJ: A Beautiful women, Fine wine, Guinness , Great food, Awesome music, Traveling. heavy paradise: All those years you are spending a lot of time on the road. You have toured with so many bands during the years. How is it to spend so many time away from your home, your family? CJ: Music is my life.... So is my family. We have been very fortunate to find a balance between work, family life, and other things that are important to us apart from the band. All the traveling is what I like to call a "first class problem." "HAIR METAL": Past. Nostalgia. Great Music. FIREHOUSE: Family and Friends. Music I am really proud of. RUBICON CROSS : Present. Happiness. New Music I am really proud of. heavy paradise: Any message to your fans CJ? CJ : Nothing but Love and Gratitude going out to all the fans that have supported us year after year. Thank you so much for buying the music, coming to the shows, and making us a part of your lives. See you on tour. heavy paradise: At this point, I have to say a huge thank you for accepting my invitation for this interview and to wish you all the best for the future.